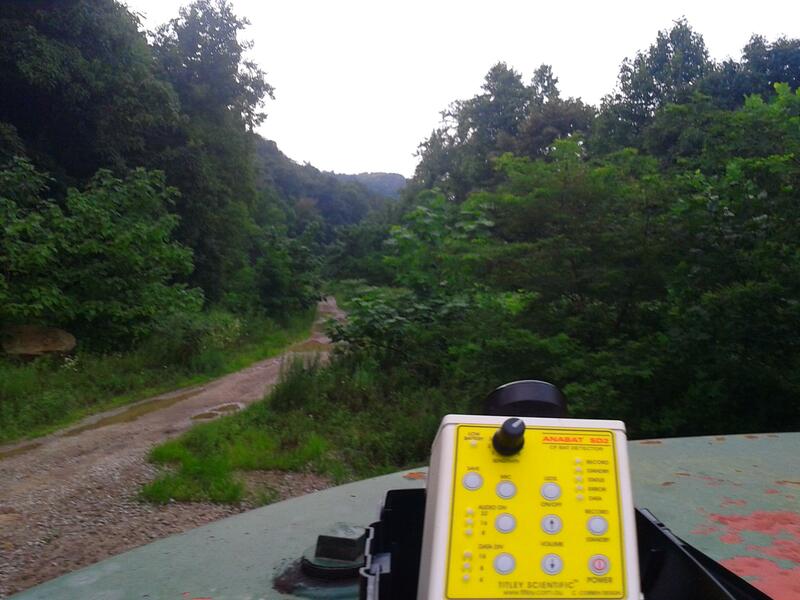 Biological Systems Consultants’ West Virginia Selenium Fish Tissue survey and NPDES compliance team is equipped to take on all of your NPDES compliance needs. Recent developments in NPDES compliance include West Virginia’s 2016 revised criterion which employs water column and fish concentrations for compliance. 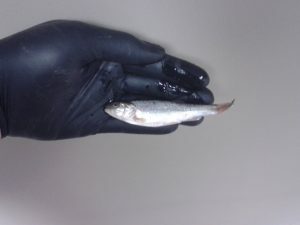 West Virginia Selenium Fish Tissue will compliance include bioaccumulation factors which will be applied to determine water column concentrations. Collection in lakes are collected by gill nets, hook and line, or electroshocking methods according to U.S. EPA Fish Field and Laboratory Methods for Evaluating the Biological Integrity of Surface Waters. Collection in streams will be collected by standard electroshocking methods according to U.S. EPA Fish Field and Laboratory Methods for Evaluating the Biological Integrity of Surface Waters. 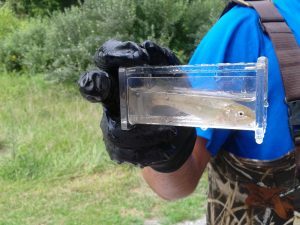 West Virginia Selenium Fish Tissue sampling will likely be conducted before NPDES are issued and may occur throughout the lifetime of these permits. NPDES permit projects are complicated in nature and have many different project requirements. Finally, our staff is fully permitted and qualified to conduct surveys in multiple states and is prepared for each project by focusing on NPDES compliance. 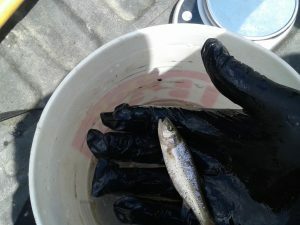 Selenium Fish Tissue Sampling frequencies are conducted by Biological Systems Consultants following local and federal guidelines. Following the standard operating procedures (SOP) for selenium fish tissue sampling set forth by local regulatory authority we maintain scientific collectors permits. Hence, this allows BSC to provide field personnel with extensive experience identifying the target species as required by the protocols and helping comply with the project specific requirements mandated by the local and federal laws. In conclusion, if you have any questions about your Section 402 NPDES Selenium Fish compliance or have been requested to address selenium fish tissue sampling on your project for any reason feel free to Contact us or request a quote today. Our fish tissue collection team strives to be cost effective and project oriented to ensure our clients receive the attention they need for each project. 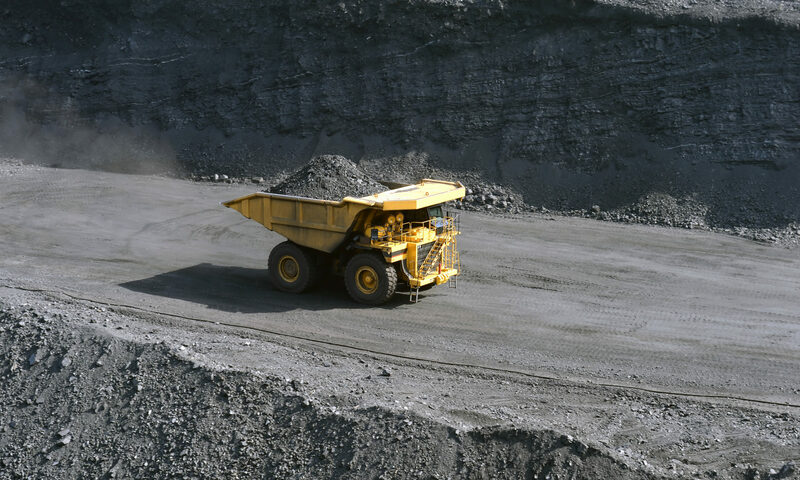 We will get your samples collected and analyzed in a timely and cost effective manner. See additional services here. Selenium Fish Tissue Testing collections are conducted by Biological Systems Consultants to help our clients comply with NPDES/KPDES permits issued by the Kentucky Division of Water (KDOW) or the EPA. Following the standard operating procedures (SOP) for selenium fish tissue sampling set forth by KDOW/EPA we maintain scientific collectors permits and provide field personnel with extensive experience identifying the target species as required by the protocol. These are very time sensitive events so keep this in mind as soon as you find out you need a sampling event conducted. We collect samples and deliver to labs that are approved to run the EPA Method 200.8 sample methodology. We strive to collect and get samples analyzed by the lab in a cost effective and timely manner. Many NPDES Permits now contain a Selenium Fish Tissue sampling trigger for collection of fish and application of EPA Method 200.8. This method identifies the amount of Selenium accumulated in the tissue of certain fish species. 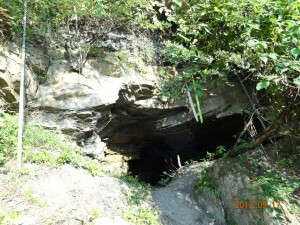 This methodology is outlined in the Methods for the Collection of Selenium Residue in Fish Tissue Used to Determine KPDES Permit Compliance SOP manual published by the Commonwealth of Kentucky Energy and Environment Cabinet, Department for Environmental Protection, Division of Water (KDOW, 2014). Biological Systems Consultants’ selenium fish tissue survey and NPDES compliance team is equipped to take on all of your NPDES compliance needs. Our staff is fully permitted and qualified to conduct surveys in multiple states. If you have any questions about your Section 402 NPDES Selenium Fish compliance or have been requested to address selenium fish tissue sampling on your project for any reason Contact us or request a quote today. Our fish tissue collection team strives to be cost effective and project oriented to ensure our clients receive the attention they need for each project. This often entails following on-site safety protocols beyond that required by the State or Federal Regulations. NPDES permit projects are complicated in nature and have many different project requirements. Our NPDES staff can help with any project. Selenium Fish Tissue Sampling frequencies are conducted by Biological Systems Consultants to help our clients comply with NPDES/KPDES permits issued by the Kentucky Division of Water (KDOW) or the EPA. Following the standard operating procedures (SOP) for selenium fish tissue sampling set forth by KDOW/EPA we maintain scientific collectors permits and provide field personnel with extensive experience identifying the target species as required by the protocol. These are very time sensitive events so keep this in mind as soon as you find out you need a sampling event conducted. Biological Systems Consultants’ selenium fish tissue survey and NPDES compliance team is equipped to take on all of your NPDES compliance needs. Our staff is fully permitted and qualified to conduct surveys in multiple states. If you have any questions about your Section 402 NPDES Selenium Fish compliance or have been requested to address selenium fish tissue sampling on your project for any reason Contact us or request a quote today. Our fish tissue collection team strives to be cost effective and project oriented to ensure our clients receive the attention they need for each project. This often entails following on-site safety protocols beyond that required by the State or Federal Regulations. NPDES permit projects are complicated in nature and have many different project requirements. Our NPDES staff can help with any project. See additional services here. This Phase I Archaeology project purpose was to identify any archaeological resources within the project area and assess their potential eligibility for nomination to the National Register of Historic Places (NRHP). 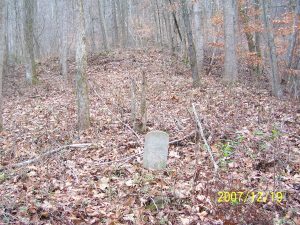 As a result of the investigation, one historic/modern cemetery was documented. It was located atop of a toeslope near about 600 feet AMSL. 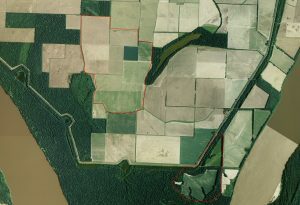 The site encompassed approximately 1000 square meters and is about 200m south of the head of a tributary that drains Franks Creek. The entire cemetery is maintained and surrounded by a chain-link fence. The cemetery contained 13 graves, all of which were oriented north-south. Of the 13 graves, 9 were either marked by plain stone, or the writing was worn away and no longer visible. The other headstones contained legible information such as dates of birth and names. 4 of the graves were considered modern, with death dates ranging from 1971-2002. It is likely that graves marked with plain or illegible headstones are historic in age. By placing a 100 foot buffer zone around the cemetery avoidance of the site was possible and no further work was recommended for this project. No additional sites were located during this survey. Contact us or request a quote today. See additional services here. 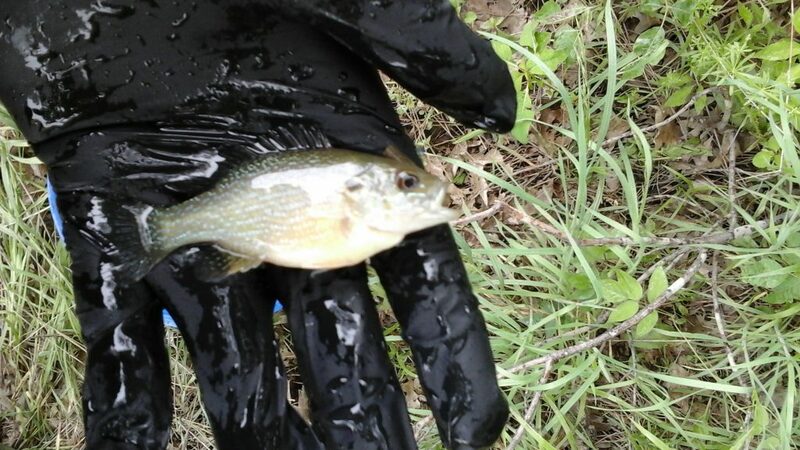 Selenium Fish Tissue Collection frequencies are conducted by Biological Systems Consultants to help our clients comply with NPDES/KPDES permits issued by the Kentucky Division of Water (KDOW) or the EPA. BSC staff maintain scientific collectors permits and provide field personnel with extensive experience identifying the target species as required by the protocol. These are very time sensitive events so keep this in mind as soon as you find out you need a sampling event conducted. Biological Systems Consultants’ selenium fish tissue survey team is equipped to take on all of your NPDES compliance needs for this type of project. Our staff is fully permitted and qualified to conduct surveys in multiple states. If you have any questions about your Section 402 NPDES Selenium Fish compliance or have been requested to address selenium fish tissue sampling on your project for any reason Contact us or request a quote today. The SOP for collection in Kentucky can be found at this link SOP Selenium Fish Tissue KDOW 2014. See additional services here. 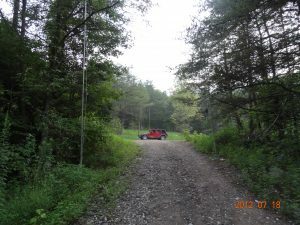 During this 300 acre Phase I investigation we shovel tested and performed pedestrian reconnaissance looking for historic and prehistoric archaeological sites, and if found, evaluate whether or not the cultural material may be eligible for listing in the National Register of Historic Places. No sites were identified during this investigation. 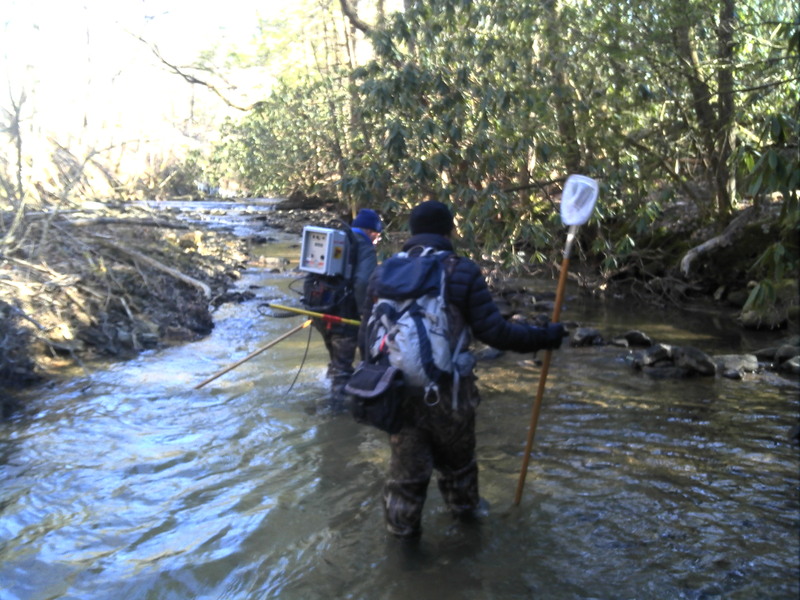 During this fish survey Biological Systems Consultants personnel used a backpack electro-fisher to conduct a population census and identify the diversity of fish species in the stream segment. Contact us or request a quote today. See additional services here. Phase I ESA projects are conducted by Biological Systems Consultants to help our clients comply with ASTM-13 and AAI standards during commercial property transactions. BSC staff provide field personnel with extensive experience identifying the target issues that may be identified as recognizable environmental conditions during these assessments. In conclusion, our staff is fully permitted and qualified to conduct these projects. If you have any questions about your ESA compliance or have been requested to address a Phase I ESA on your project for any reason Contact us or request a quote today. See additional services here. 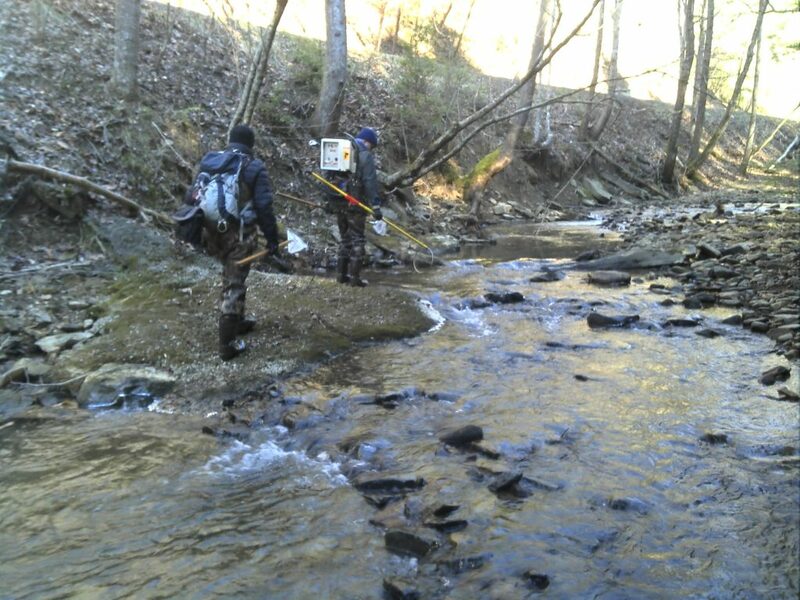 Biological Systems Consultants’ selenium fish tissue survey team is equipped to take on all of your NPDES compliance needs for this type of project. Our staff is fully permitted and qualified to conduct surveys in multiple states. If you have any questions about your Section 402 NPDES Selenium Fish compliance or have been requested to address selenium fish tissue sampling on your project for any reason Contact us or request a quote today. The SOP for collection in Kentucky can be found at this link SOP Selenium Fish Tissue KDOW 2014. More about this service here or see additional services here. Stream mitigation including stream restoration design and construction monitoring services. 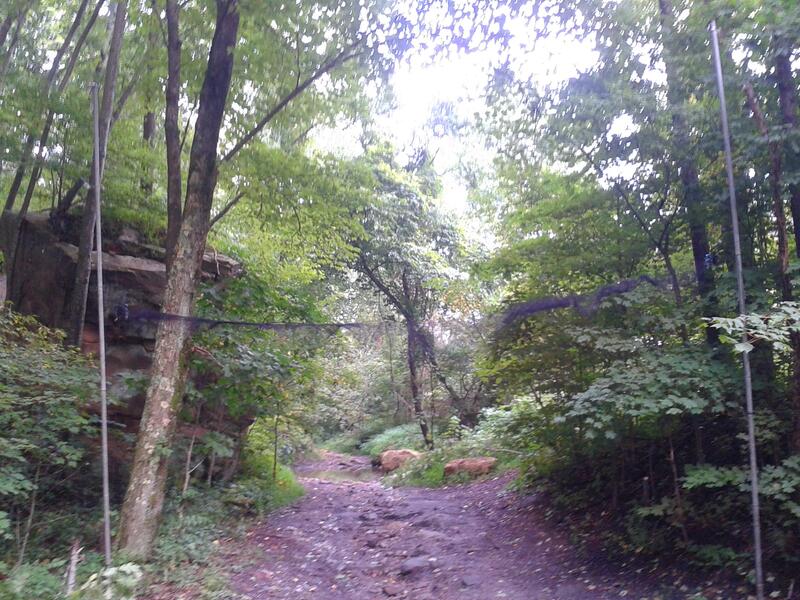 Whether it is a baseline study or full stream restoration design plan our team regularly performs these tasks to help our clients meet their project goals. Using Rosgen and standard survey trained stream restoration specialists, Biological Systems Consultants provides their clients with longitudinal profiles, profile and dimension information (plan-views, cross-sections), pebble counts, and complete Rosgen stream assessments. Using existing stream conditions or reference streams, Biological Systems Consultants provides detailed stream channel information for these types of projects. See additional services here. 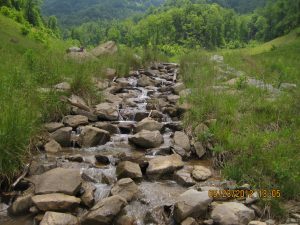 This stream restoration in Harlan County, Kentucky was completely restored post-mining and has now been restored to its natural profile, pattern, and dimension using natural stream design techniques. 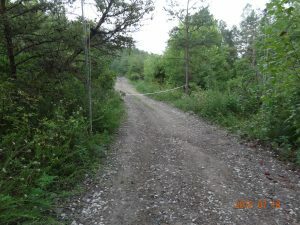 Biological Systems Consultants has been monitoring this site for four years and is planning to request mitigation release of liability after this year because the permittee has met the conditions of the permit. Contact us or request a quote today. See additional services here. Biological Systems Consultants’ selenium fish tissue survey team is equipped to take on all of your NPDES compliance needs for this type of project. Our staff is fully permitted and qualified to conduct surveys in multiple states. If you have any questions about your Section 402 NPDES Selenium Fish compliance or have been requested to address selenium fish tissue sampling on your project for any reason Contact us or request a quote today. The SOP for collection in Kentucky can be found at this link SOP Selenium Fish Tissue KDOW 2014. Read more about this service here or see additional services here. 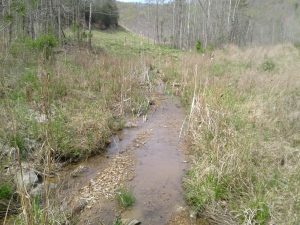 Stream restoration design and monitoring at this site in Whitley County, Kentucky has resulted in an increase in aquatic resources across the watershed. 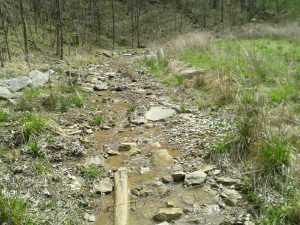 Macroinvertebrate communities have been re-established and the riparian zones have been replanted with trees and shrubs that are native the Kentucky. 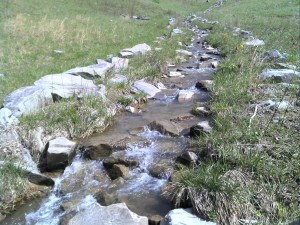 The stream channels were also reshaped to provide the channel access to a flood plain and reduce incision. Contact us or request a quote today. See additional services here. Selenium Fish Tissue Sampling frequencies are conducted by Biological Systems Consultants to help our clients comply with NPDES/KPDES permits issued by the Kentucky Division of Water (KDOW) or the EPA. Following the standard operating procedures (SOP) for selenium fish tissue sampling set forth by KDOW we maintain scientific collectors permits and provide field personnel with extensive experience identifying the target species as required by the protocol. These are very time sensitive events so keep this in mind as soon as you find out you need a sampling event conducted. Biological Systems Consultants’ selenium fish tissue survey team is equipped to take on all of your NPDES compliance needs for this type of project. Our staff is fully permitted and qualified to conduct surveys in multiple states. If you have any questions about your Section 402 NPDES Selenium Fish compliance or have been requested to address selenium fish tissue sampling on your project for any reason Contact us or request a quote today. Many NPDES Permits now contain a Selenium Fish Tissue sampling trigger for collection of fish and application of EPA Method 200.8. This method identifies the amount of Selenium accumulated in the tissue of certain fish species. This methodology is outlined in the Methods for the Collection of Selenium Residue in Fish Tissue Used to Determine KPDES Permit Compliance SOP manual published by the Commonwealth of Kentucky Energy and Environment Cabinet, Department for Environmental Protection, Division of Water (KDOW, 2014). Read more or see additional services here. 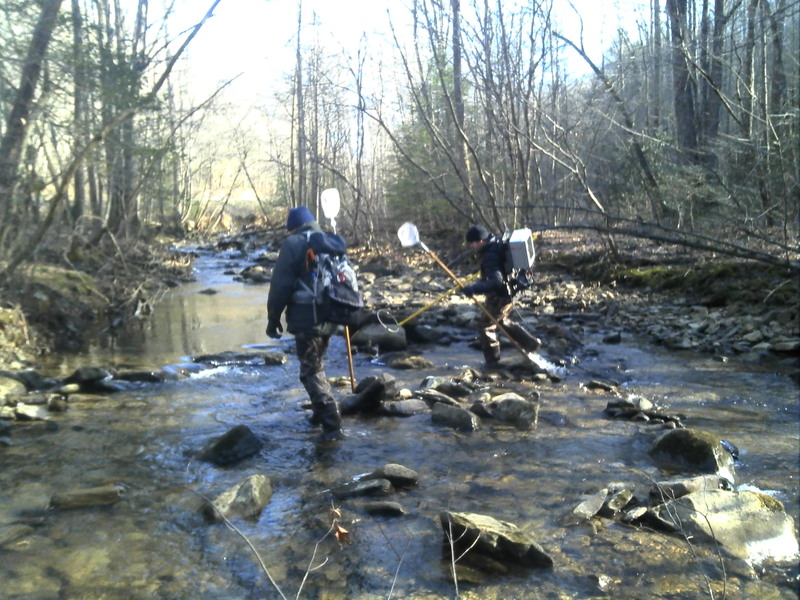 Benthic macroinvertebrate surveys and analysis is provided by our team of aquatic entomologists and biologists. 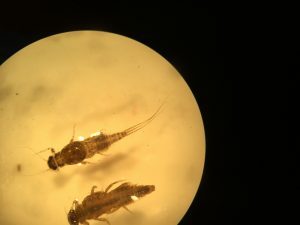 Biological Systems Consultants’ macroinvertebrate survey team is equipped to take on all of your aquatic survey needs. Our staff is fully permitted and qualified to conduct surveys for the. 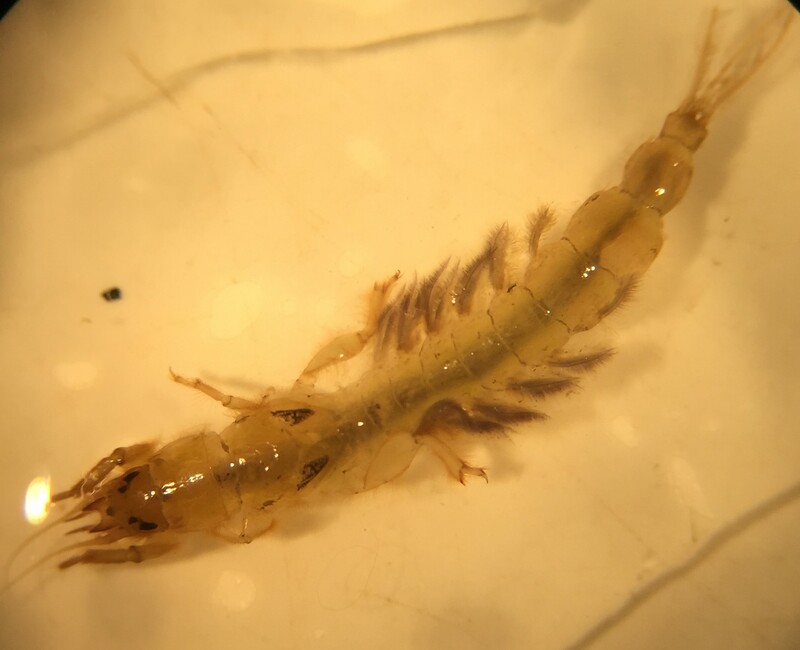 If you have any questions about your biological monitoring compliance needs or programs, please give us a call and we will be happy to walk you through the process and take care of all your benthic macroinvertebrate survey needs. Contact us or request a quote today. See additional services here. Stream mitigation including stream restoration design and construction monitoring services. 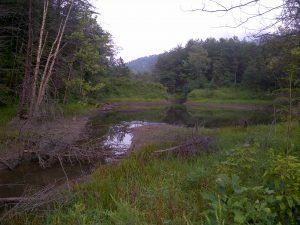 Whether it is a baseline study or full stream restoration design plan our team regularly performs these tasks to help our clients meet their project goals. 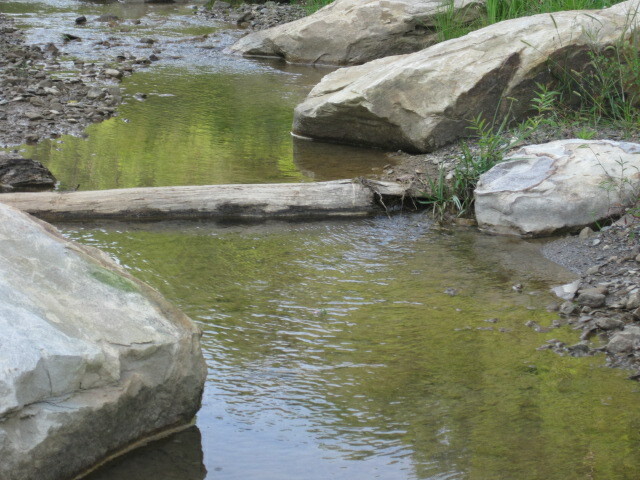 Using Rosgen and standard survey trained stream restoration specialists, Biological Systems Consultants provides their clients with longitudinal profiles, profile and dimension information (plan-views, cross-sections), pebble counts, and complete Rosgen stream assessments. Using existing stream conditions or reference streams, Biological Systems Consultants provides detailed stream channel information for these types of projects. Using our EcoDrones (UAV, sUAS, Drones) Biological Systems Consultants can also assist in stream or wetland mitigation or bond releases or pre, post, and during construction monitoring, baseline assessments by providing video, still images, or 3D modeling of sites. Capturing low-elevation data we can create or provide highly accurate DEM (digital elevation models or elevation point clouds) data to our clients to work with. This technology allows us to capture millions of points, exponentially greater than traditional survey methods. This method is also safer than putting a traditional airplane into the sky. Using the latest available technology we aim to save our clients time and money in the field and in the office and can deploy EcoDrones very quickly to complete projects.